A Dessert Degustation? It Exists. So admittedly it’s not in the spirit of a summertime slim-down, but we’ve quickly calculated, and yep, this is one collaboration that’s worth the calories! What is it that has us unbuttoning our jeans and pushing our bikinis into the bottom drawer? Lotus and Black Star Pastry are joining forces for four sugar-fuelled nights in February. In order to celebrate the Lunar New Year, Lotus’ Head Pastry Chef, Tiffany Jones, and Black Star’s Pastry Executive Chef, Sam Yeo, have rekindled their college friendship and set their sights on the Chinese blessings of wealth, prosperity and longevity. Far from basic, these are the kind of desserts that have never been dubbed “just” desserts. Rather, they’re the sort that you marvel at because they’re more like sugary works of art than food for finishing up. 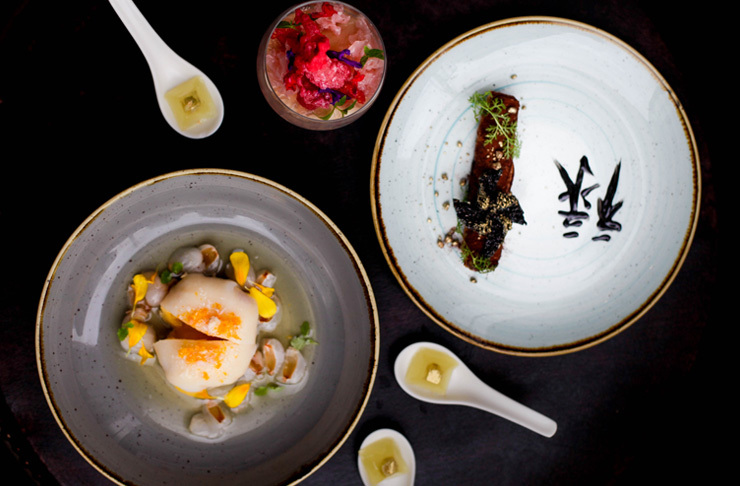 This dynamic duo will treat diners to a degustation menu for $68 per person. Mouth watering yet? For an extra $30, you can enjoy it with perfectly partnered wines. Dig in! Bookings: There’s a minimum of two people per booking. Make your reservations here.